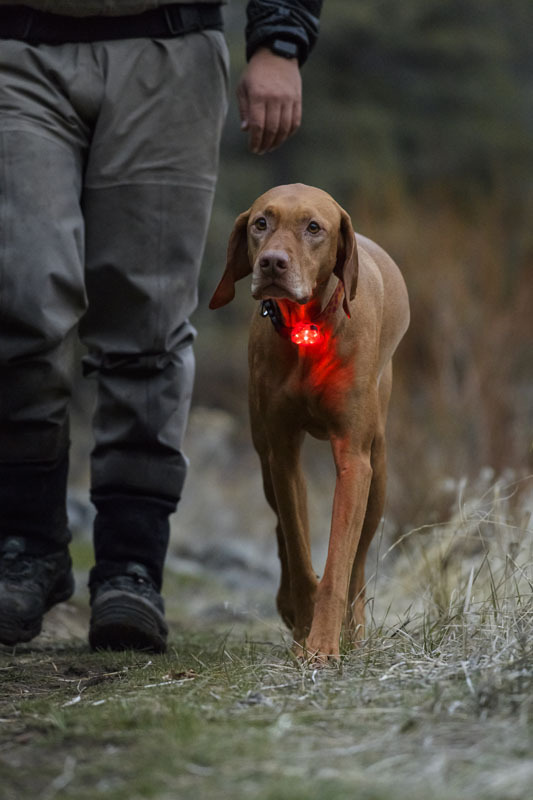 The new and improved Ruffwear Beacon is a high-performance safety light to help keep dogs visible in low-light conditions or inclement weather. 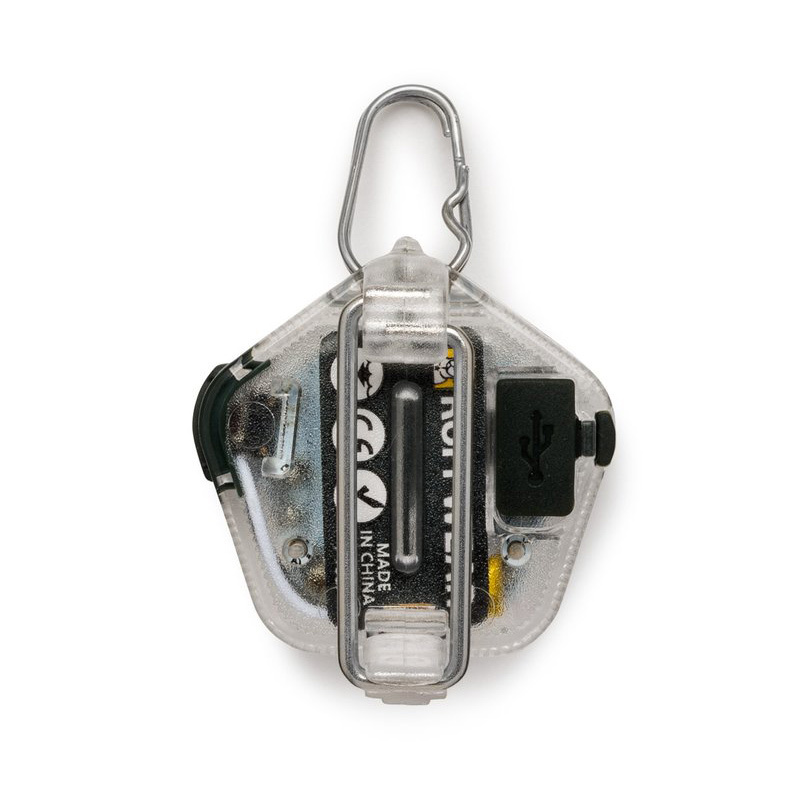 The Beacon is durable and waterproof, with an easy-to-use Quick Clip™ that attaches to Ruffwear apparel, harnesses, collars, and other gear. 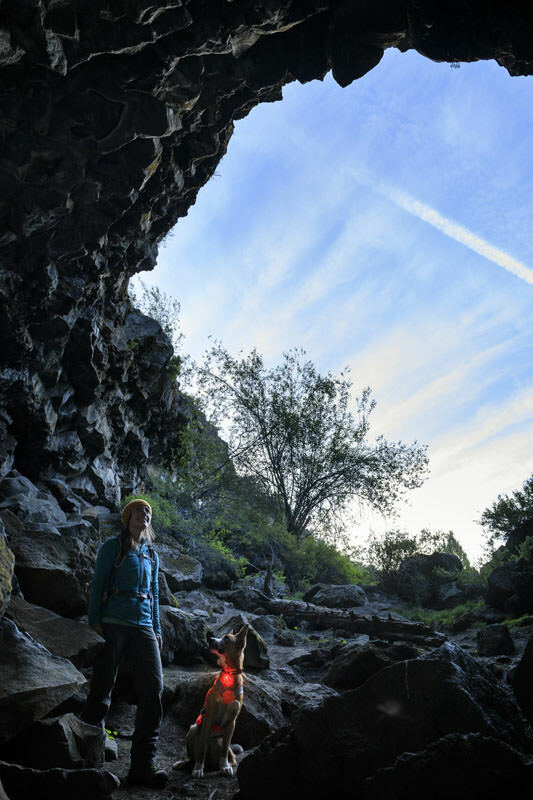 Lightweight at only 1.5 inches square with a depth of less than an inch, the Ruffwear Beacon is designed to easily clip onto all Ruff Wear wearable gear – collars, packs, apparel, life jackets, and harnesses. 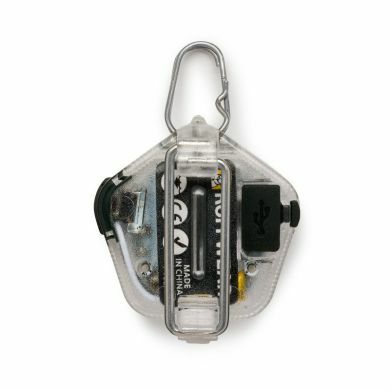 It can also be clipped to runners, hikers, cyclists, kids, and equipment. 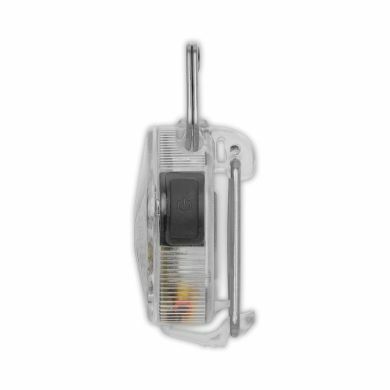 This is another of Ruff Wear's products which has fit our needs perfectly. Our dog Pluto loves to run outside at night and we like to know where she is at all times. 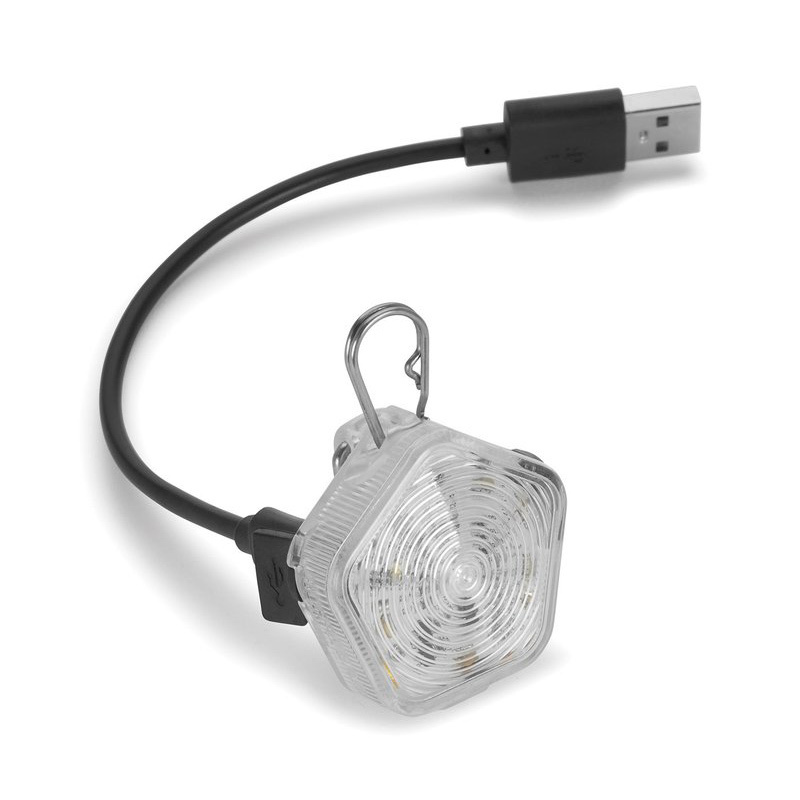 The Beacon has three settings so you can have it blink or remain continuously lit up. If your dog gallops into the surf, no worries! The Beacon is completely waterproof. Swim to your heart's content, Fido! These beacons are great - they are very bright and easy to see in the dark. 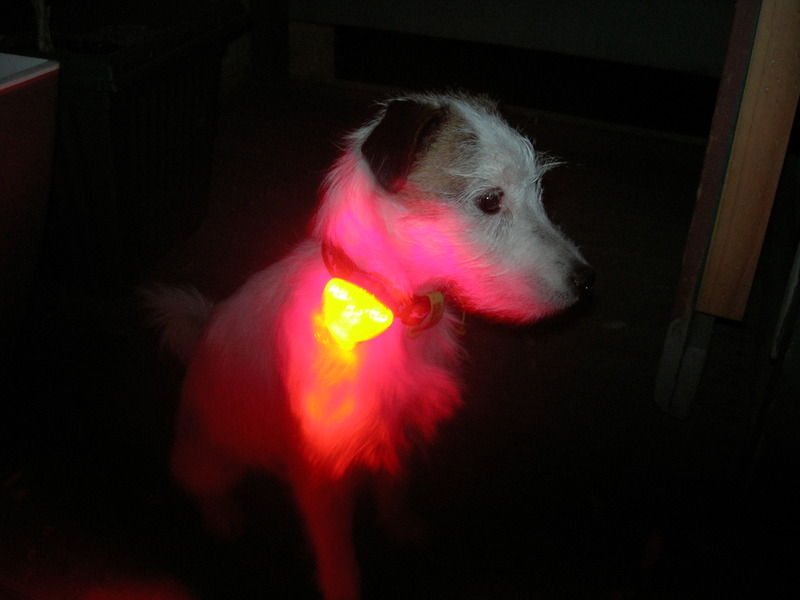 We have had other lights for the dogs but the batteries ran out very quickly. The batteries on the Beacon seem better. 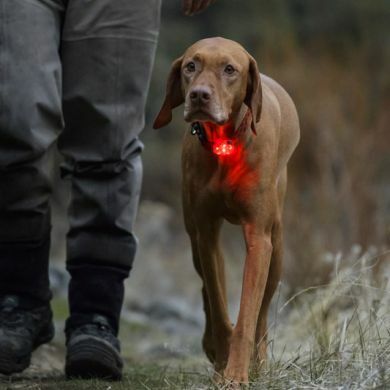 Read 10 customer reviews of Ruffwear The Beacon. The average customer rating is 5. 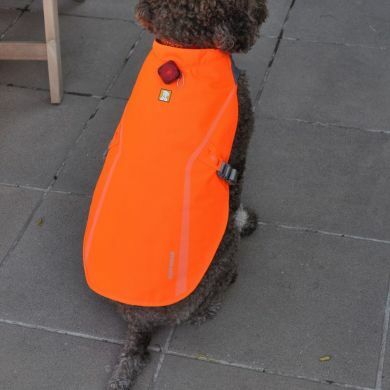 Just perfect for early morning walks on back country roads with my almost invisible toy poodle cross Lizzie. I'm much more relaxed now, knowing that she can be seen by any of the occasional early rising farmers travelling in their utes, should she be a little slow getting back to me when I call. It lasts a long time before recharging is needed and I like having a choice of colours. 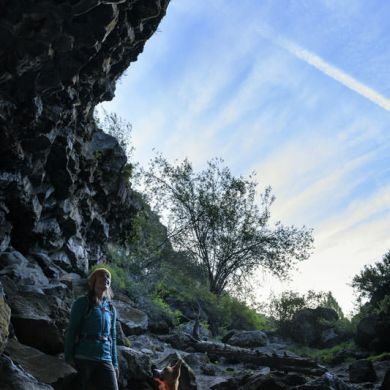 A great light for dawn and dusk walking. 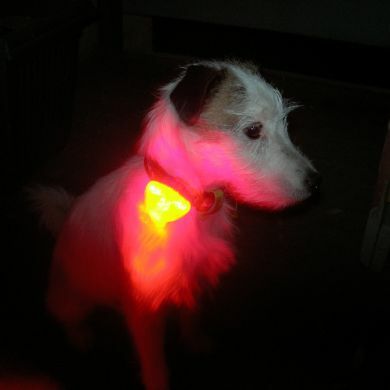 I also use it when I want my dog to be more visible and to reduce the risk of him being trodden on. 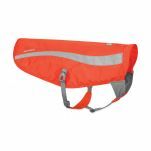 Ruff wear Beacon is a handy item if you live in the bush. I can let my dog out at night when nature calls and able to keep an eye on him. He likes it to as it helps hanging off his collar on full light he can see were he is sniffing. Keep away from those pesky bull ant nests! 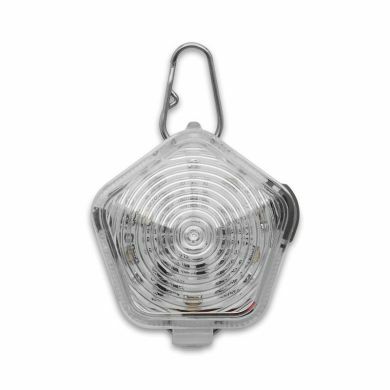 We walk in the early morning at an off leash park and it is dark now - so the lights are great - not only can we see the dogs but so can others and in particular, cars coming into the park can see them. Lightweight, super bright and very functional. Love it. I bought two, one for each of my dogs! 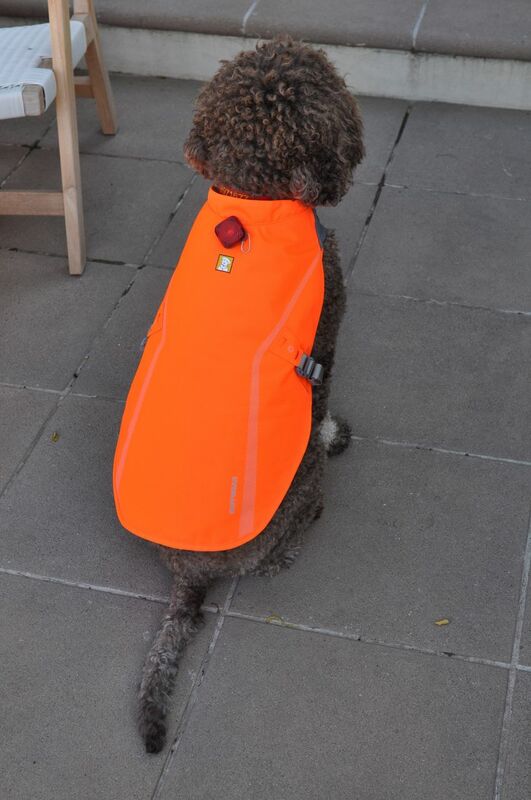 Clips beautifully to my dogs Ruffwear shower coats and I can see them a mile away as they run in the park at night. Light weight so they do not annoy the dogs but boy do they shine!